Read Hebrews 5:8–Jesus, being equal with God, became obedient–MASTERED. Why do we think we are any better than the God who died to save us? 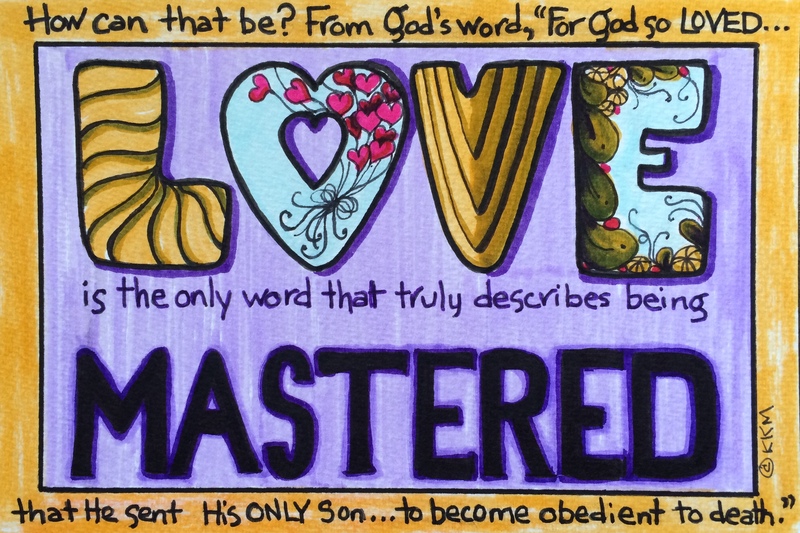 It’s about who and how we love–ourselves as lord or Christ as Lord–we cannot share the love when it comes to who is master of our lives.